The promises of patient engagement technologies are big, but can they be kept? It’s possible, but with so many technologies to choose from, implementations that dip into unchartered waters, and limited digital expertise in-house, it can be hard to see how their value will outweigh their risks. Ashley Tointon has spent more than 20 years working in patient recruitment for pharma, CRO and niche providers. She has built, trained and managed a team of global patient recruitment specialists at a large CRO and has lead innovative digital patient recruitment offerings. She is a driven, independent, highly energetic, motivated and goal-oriented professional with a proven track record in adapting to rapidly evolving business models while embracing and managing change. She has a broad skill set with expertise in the following areas: digital media, strategy development, project management, vendor relations and negotiations, training and public speaking, innovative problem solving, communication and negotiating skills. She is a monthly published contributing writer for CenterWatch Weekly and currently provides patient recruitment expertise, strategy and leadership as the Principal Consultant of Accelerate Clinical Enrollment LLC. Jeff Lee is founder and President of mProve Health (a Bracket Company), a provider of leading mobile technologies that connect and engage patients with global clinical research studies. Based in Washington, DC, Jeff is a repeat entrepreneur and his prior ventures pioneered the mobile engagement work for the American Idol text-to-vote campaign, Barack Obama’s 2008 campaign, and other high profile projects for Fortune 500 companies including Disney, MasterCard, and Exxon Mobil. Since founding mProve Health in 2010, Jeff has grown the company globally. Today, mProve’s applications are used by 18 of the top 20 pharmaceutical companies, 15,000 clinical research sites in over 60 countries, and they are translated into over 50 languages. Professionals from pharmaceutical and CRO companies who are interested in implementing a patient engagement strategy, but are not sure what the right technology solution looks like or how to operationalize. Bracket, with 9 offices and more than 700 employees worldwide, is a specialty services provider dedicated to helping biopharmaceutical sponsors and contract research organizations increase the power of their clinical research data by leveraging core competencies in Science, Technology, and Service. Bracket eCOA™ is a flexible platform for electronic clinical outcomes assessments. 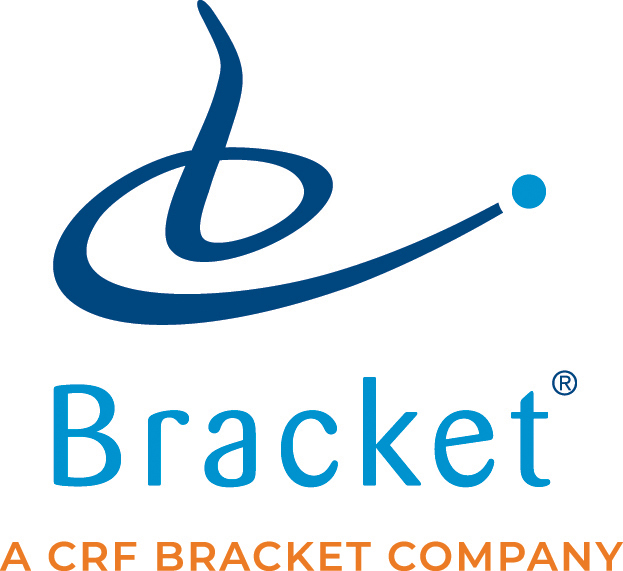 Bracket RTSM™ is a best-in-breed, scalable and configurable clinical IRT solution for the life sciences industry. Bracket Rater Training and Quality Assurance improve outcomes through customized training and quality assurance programs. Learn more about Bracket at www.bracketglobal.com.